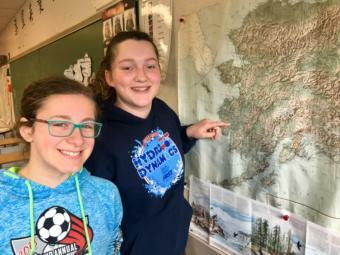 The Ketchikan School District is going to hire an independent investigator to look into the district’s actions regarding former teacher Doug Edwards, who faces charges that he sexually assaulted a 14-year-old girl at the high school, as well as other locations. The school board voted Monday to hire an investigator at the end of a special meeting called to discuss a personnel complaint against Superintendent Robert Boyle. Board President Trevor Shaw confirms the complaint was related to the Edwards case. The complaint was filed in late June with a two-week deadline to respond. Shaw said Tuesday that Boyle was out of town, and got back on the day of that deadline, which was Monday. Shaw said Monday’s executive session lasted about an hour and 40 minutes. When they came back into regular session, the board voted for Shaw to identify an entity to look into the district’s actions related to Edwards’ conduct. Shaw is consulting with state and national school board associations, along with other colleagues, for advice on who to approach for the job. He said the board consulted its attorney before voting Monday. Shaw stressed that the investigation isn’t into Edward’s alleged criminal behavior. Shaw said the board likely will have to schedule a special meeting later this month to take further action. Edwards was the long-time culinary arts teacher at Ketchikan High School and a local pastor. He retired at the end of this school year, and was charged just days after with multiple counts of sexual abuse of a minor.